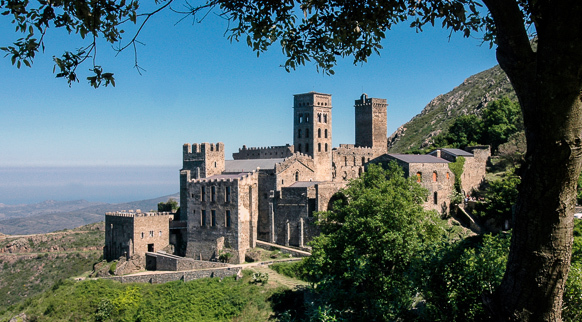 If there is one adjective that fits the monastery of Sant Pere de Rodes like a glove, then it's “majestic”. It certainly fits the description, standing out for its solemnity and elegance. This 10th century Benedictine monastery overlooks the Cap de Creus Natural Park from the highest point of El Port de la Selva. Declared a cultural site of national interest, the complex is one of the best examples of Romanesque architecture in Girona, the most noteworthy elements being the church, the bell tower and the defence tower. Since its construction in the 10th century the monastery has seen it all: centuries of splendour (when it controlled territories on both sides of the Pyrenees) followed by a period of decadence from the end of the 17th century , with constant sackings, etc., and now happier times as one of the key tourist attractions of the Costa Brava.